In a nutshell, Stephen turns the entire argument for PPPR and publishing reform on its head. High impact journals don’t represent elitism; rather they provide the no name rising young scientist a chance to have their work read and cited. This argument really made me pause for a second as it represents the polar opposite of almost my entire worldview on the scientific game and academic publishing. In my view, top-tier journals represent an entrenched system of elitism masquerading as meritocracy. They make arbitrary, journalistic decisions that exert intense power over career advancement. If anything the self-publication revolution represents the ability of a ‘nobody’ to shake the field with a powerful argument or study. Needless to say I was at first shocked to see this argument supported by a number of other scientists on Twitter, who felt that it represented “everything wrong with the anti-journal rhetoric” spouted by loons such as myself. But then I remembered that in fact this is a version of an argument I hear almost weekly when similar discussions come up with colleagues. Ever since I wrote my pie-in-the sky self-publishing manifesto (don’t call it a manifesto! ), I’ve been subjected (and rightly so!) to a kind of trial-by-peers as a de facto representative of the ‘revolution’. Most recently I was even cornered at a holiday party by a large and intimidating physicist who yelled at me that I was naïve and that “my system” would never work, for almost the exact reasons raised in Stephen’s post. So lets take a look at what these common worries are. Bar none the first, most common complaint I hear when talking about various forms of publication reform is the “filter problem”. Stephen describes the fear quite succinctly; how will we ever find the stuff worth reading when the data deluge hits? How can we sort the wheat from the chaff, if journals don’t do it for us? I used to take this problem seriously, and try to dream up all kinds of neato reddit-like schemes to solve it. But the truth is, it just represents a way of thinking that is rapidly becoming irrelevant. Journal based indexing isn’t a useful way to find papers. It is one signal in a sea of information and it isn’t at all clear what it actually represents. I feel like people who worry about the filter bubble tend to be more senior scientists who already struggle to keep up with the literature. For one thing, science is marked by an incessant march towards specialization. The notion that hundreds of people must read and cite our work for it to be meaningful is largely poppycock. The average paper is mostly technical, incremental, and obvious in nature. This is absolutely fine and necessary – not everything can be ground breaking and even the breakthroughs must be vetted in projects that are by definition less so. 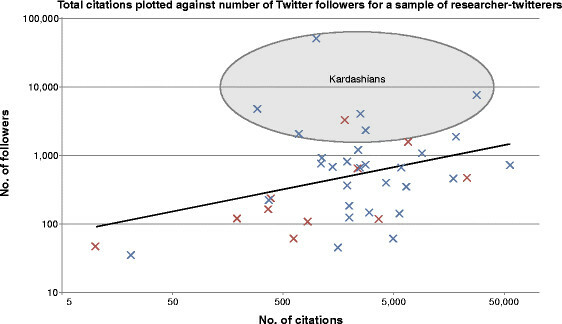 For the average paper then, being regularly cited by 20-50 people is damn good and likely represents the total target audience in that topic area. If you network to those people using social media and traditional conferences, it really isn’t hard to get your paper in their hands. Moreover, the truly ground breaking stuff will find its audience no matter where it is published. We solve the filter problem every single day, by publically sharing and discussing papers that interest us. Arguing that we need journals to solve this problem ignores the fact that they obscure good papers behind meaningless brands, and more importantly, that scientists are perfectly capable of identifying excellent papers from content alone. You can smell a relevant paper from a mile away – regardless of where it is published! We don’t need to wait for some pie in the sky centralised service to solve this ‘problem’ (although someday once the dust settles i’m sure such things will be useful). Just go out and read some papers that interest you! Follow some interesting people on twitter. Develop a professional network worth having! And don’t buy into the idea that the whole world must read your paper for it to be worth it. Ok, so lets say you agree with me to this point. Using some combination of email, social media, alerts, and RSS you feel fully capable of finding relevant stuff for your research (I do!). But your worried about this brave new world where people archive any old rubbish they like and embittered post-docs descend to sneer gleefully at it from the dark recesses of pubpeer. Won’t the new system be subject to favouritism, cults of personality, and the privilege of the elite? As Stephen says, isn’t it likely that popular persons will have their papers reviewed and promoted and all the rest will fade to the back? The answer is yes and no. As I’ve said many times, there is no utopia. We can and must fight for a better system, but cheaters will always find away. No matter how much transparency and rigor we implement, someone is going to find a loophole. And the oldest of all loopholes is good old human-corruption and hero worship. I’ve personally advocated for a day when data, code, and interpretation are all separate publishable, citable items that each contribute to ones CV. In this brave new world PPPRs would be performed by ‘review cliques’ who build up their reputation as reliable reviewers by consistently giving high marks to science objects that go on to garner acclaim, are rarely retracted, and perform well on various meta-analytic robustness indices (reproducibility, transparency, documentation, novelty, etc). They won’t replace or supplant pre-publication peer review. Rather we can ‘let a million flowers bloom’. I am all for a continuum of rigor, ranging from preregistered, confirmatory research with pre and post peer review, to fully exploratory, data driven science that is simply uploaded to a repository with a ‘use at your peril’ warning’. We don’t need to pit one reform tool against another; the brave new world will be a hybrid mixture of every tool we have at our disposal. Such a system would be massively transparent, but of course not perfect. We’d gain a cornucopia of new metrics by which to weight and reward scientists, but assuredly some clever folks would benefit more than others. We need to be ready when that day comes, aware of whatever pitfalls may bely our brave new science. Honestly though, all this kind of talk is just pointless. We all have our own opinions of what will be the best way to do science, or what will happen. For my own part I am sure some version of this sci-fi depiction is inevitable. But it doesn’t matter because the revolution is here, it’s now, it’s changing the way we consume and produce science right before our very eyes. Every day a new preprint lands on twitter with a massive splash. Just last week in my own field of cognitive neuroscience a preprint on problems in cluster inference for fMRI rocked the field, threatening to undermine thousands of existing papers while generating heated discussion in the majority of labs around the world. The week before that #cingulategate erupted when PNAS published a paper which was met with instant outcry and roundly debunked by an incredibly series of thorough post-publication reviews. A multitude of high-profile fraud cases have been exposed, and careers ended, via anonymous comments on pubpeer. People are out there, right now finding and sharing papers, discussing the ones that matter, and arguing about the ones that don’t. The future is now and we have almost no idea what shape it is taking, who the players are, or what it means for the future of funding and training. We need to stop acting like this is some fantasy future 10 years from now; we have entered the wild west and it is time to discuss what that means for science. Authors note: In case it isn’t clear, i’m quite glad that Stephen raised the important issue of privilege. I am sure that there are problems to be rooted out and discussed along these lines, particularly in terms of the way PPPR and filtering is accomplished now in our wild west. What I object to is the idea that the future will look like it does now; we must imagine a future where science is radically improved! I’m not sure if Stephen meant high impact as I don’t know the IF of American Naturalist, maybe he just meant ‘journals I like’. Honestly this is where we need to discuss changing the hyper-capitalist system of funding and incentives surrounding publication but that is another post entirely! Maybe people wouldn’t cheat so much if we didn’t pit them against a thousand other scientists in a no-holds-barred cage match to the death.